I’m incredibly indecisive when it comes to my hair. One minute I’m at the barbershop getting a fade, the next I’m growing it out long enough to put into braids for the summer. So when I had my hair cut short enough to see my scalp for New Year Eve’s and then decided to grow my hair out for the spring this year, I needed help. My typical go-to for fast hair growth are biotin pills, but this time around the team at Dirty Lemon suggested I try their Beauty Elixir. Debuted last December, the Beauty Elixir is a drink that’s formulated to hydrate skin, reduce wrinkles and trigger new collagen production thus hair growth. 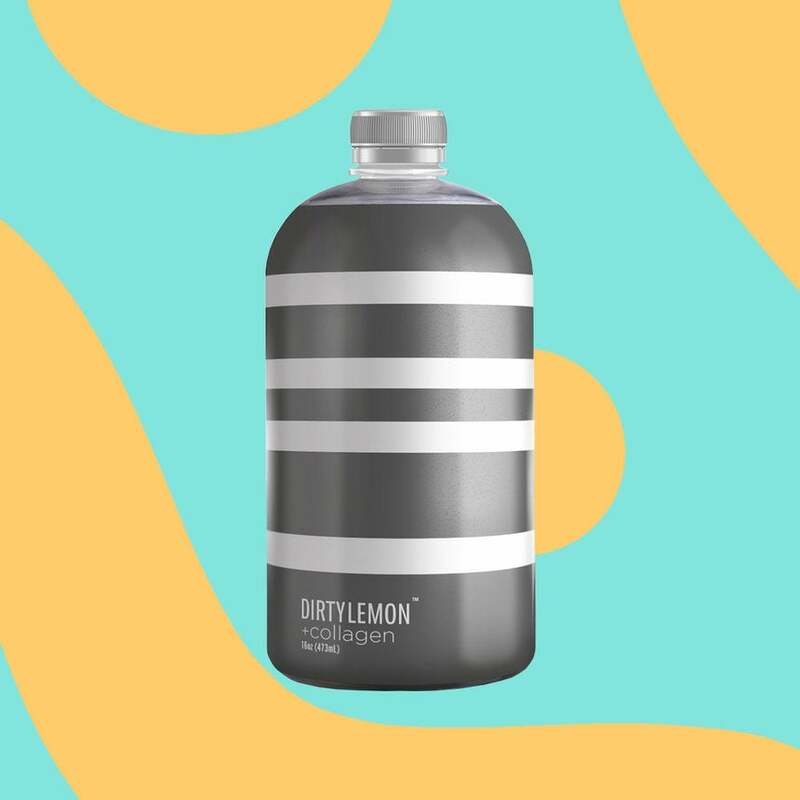 Its ingredients include filtered water, lemon juice, hydrolyzed marine collagen peptides, cayenne, Luo Han Guo, ocean minerals and pink sea salt for electrolytes. If you’re wondering what it tastes like, think lemon water with cayenne (i.e. the master cleanse). “Collagen right now is really a buzzy word and people are trying to use it in all types of products, topically and internally too,” said Dr. Laurie Brodsky N.D. the Naturopathic Doctor and Expert for Dirty Lemon. Brodsky chatted with me before beginning the process of drinking the elixir for two months. She noted that every ingredient in the elixir is purposeful in detoxing the body of toxins to allow natural collagen production. I got four cases of the collagen-magic elixir and got to drinking. After two months what happened totally caught me off guard: I lost weight— six pounds to be exact. Over the weeks of drinking, I began going to the bathroom constantly. I’m talking 4 times a day and 2-3 trips a night to pee. My hair didn’t grow particularly longer or faster, but I did feel lighter—which shouldn’t have been a huge surprise. “Taking the marine-based collagen is basically like a mini-flush for all of the cells in your body, and then your bones get benefits because they’re kind of healing and regenerating, getting rid of toxins, and it helps with wound healing,” Brodsky said. In terms of getting your hair to grow, the Dirty Lemon drink should go hand-in-hand with monitoring diet and stress. In the end, my hair didn’t grow into a massive afro overnight but I learned a lot, and it didn’t hurt to shed some weight in the process.